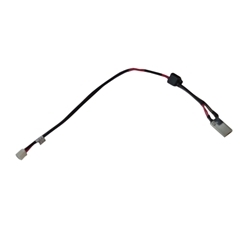 Description: New genuine Acer dc power jack with cable. This is for the models listed below which use a 40 watt adapter. If you have one of the compatible models below with a different watt adapter this jack will not work. Acer Aspire E1-571, E1-571G, E5-511, E5-511G, E5-511P, E5-521, E5-531, E5-571, E5-571G, E5-571P, E5-571PG, V3-572, V3-572G, V3-572P, V3-572PG.